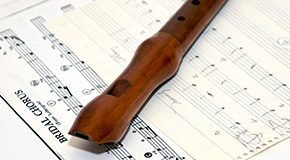 Our range of scores for recorders with over 10,000 titles of all styles and genres proves that the recorder is not an instrument of past centuries. In addition to classical works and studies you will find a large selection of modern recorder schools, play-alongs, current chart hits as well as musical and film scores for flutes of all kinds. Our recorder catalogue, with over 8,000 titles from every style and genre, proves that the recorder is not an instrument of past centuries. Along with classical works and études, here you will find a large selection of modern recorder method books, playalongs, current chart hits and music from musicals and film for the whole recorder family.